Keep your diamond and gold jewelry looking as good as new. 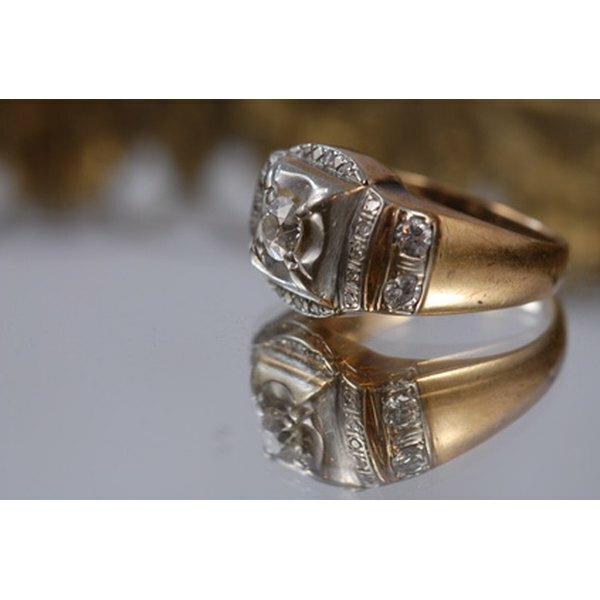 Diamonds and gold will accumulate dirt, grime and body oils over time through normal wear and you will eventually need to clean your jewelry. In routine cases, specialty jewelry cleaners may not be necessary. You can instead use products you already have in your kitchen to restore the glamor to your diamond and gold jewelry. Fill a small, plastic bowl with warm water. Add a small quantity of dish soap. Dish soap is a safe and effective choice for both diamonds and gold. Do not use bleaches or harsh detergents. Place the diamond and gold jewelry into the water and dish soap mixture. Allow it to soak for several minutes, depending on how heavily soiled the jewelry is. Remove jewelry from the mixture. Use a soft brush to scrub it thoroughly, taking care to get into the spaces around and in the back of the diamond setting. An old, soft toothbrush or a jewelry cleaning brush will work well for this purpose. Avoid abrasive scrub brushes, as they will easily scratch the gold. Rinse the jewelry with warm water. Pat it dry with a soft, lint-free cloth. Place the diamond and gold piece into a cloth bag and store it in your jewelry box. This will help to prevent additional dirt and grime from accumulating on your jewelry when not in use. 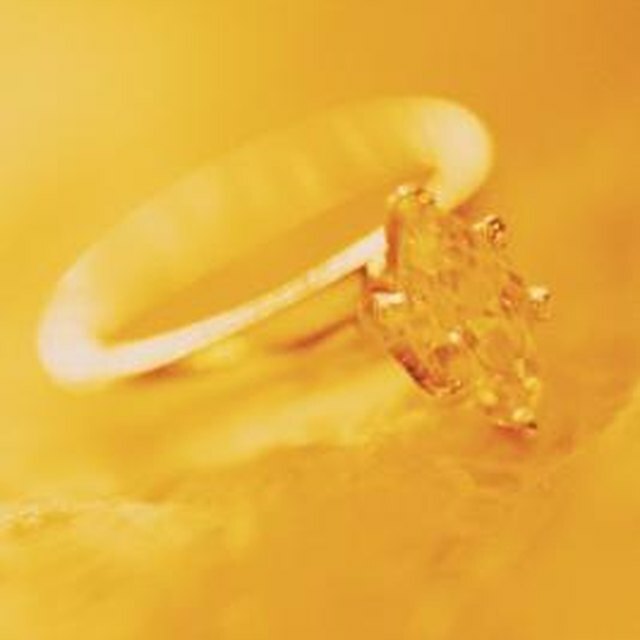 For severe buildup, take your diamond and gold jewelry to a jeweler for a professional cleaning.